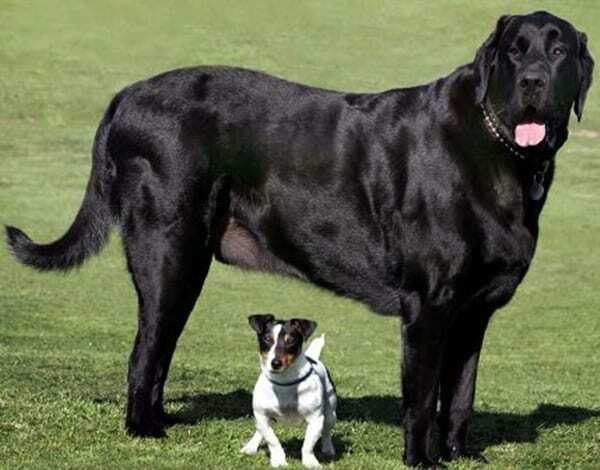 We have heard of Best Big Dog Breeds over time but have you heard of the biggest dogs surviving around the world? 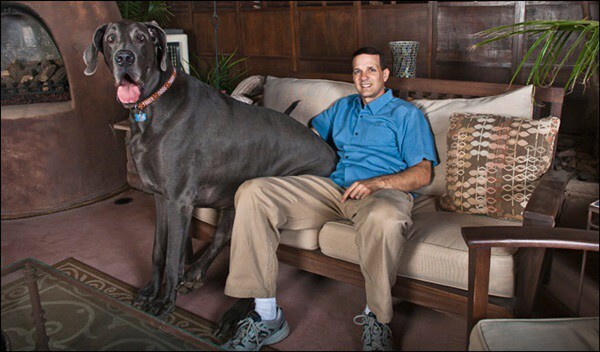 Yes, this article will give you a description of biggest dogs still existing around the world. 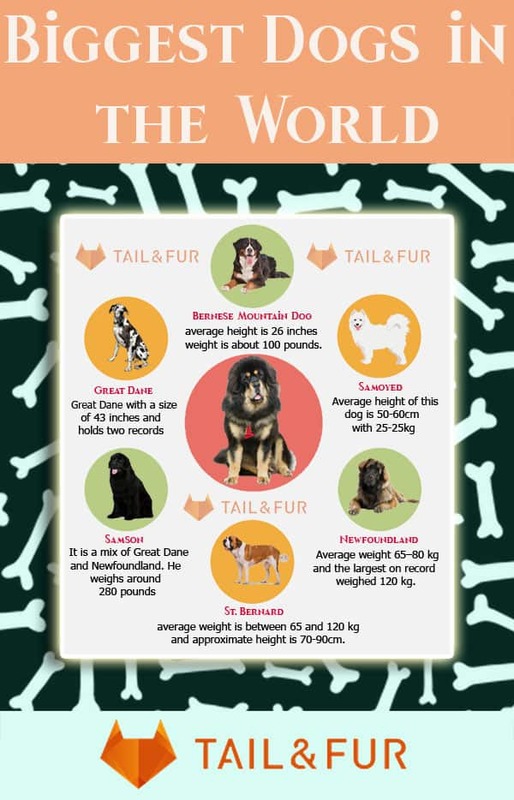 As far as we know all these dogs made a record for their size and weight. Maybe at times, it becomes hard to maintain these big creatures but still, we love dogs. 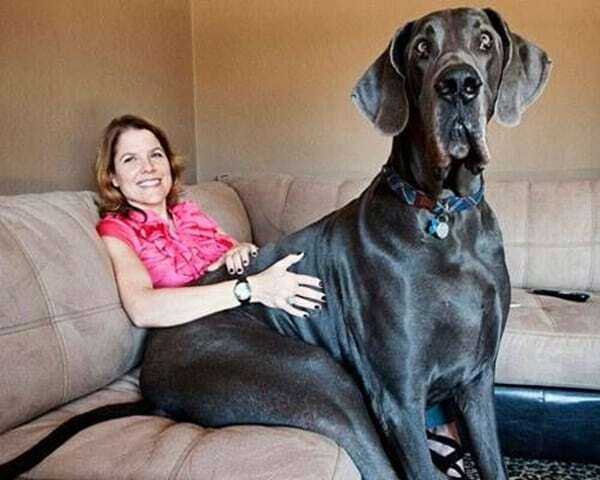 Before you know about them, if you have a fascination towards big dogs as pets, you can also check our article on the large dog breeds those who become really large enough. We have all seen big dogs in movies and often wondered are they exaggerating the size using trick photography? 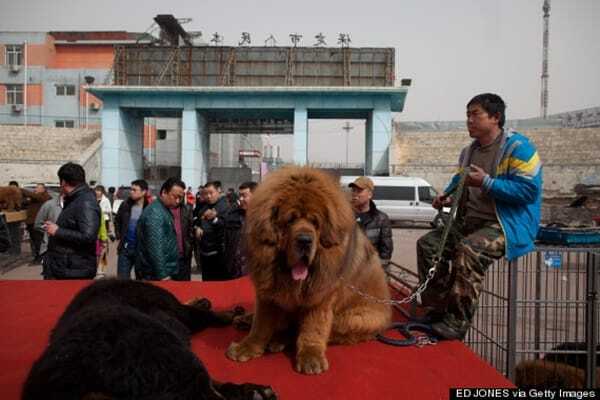 But the thing is they are not and you will believe us when you look at the Biggest Dogs in the World. 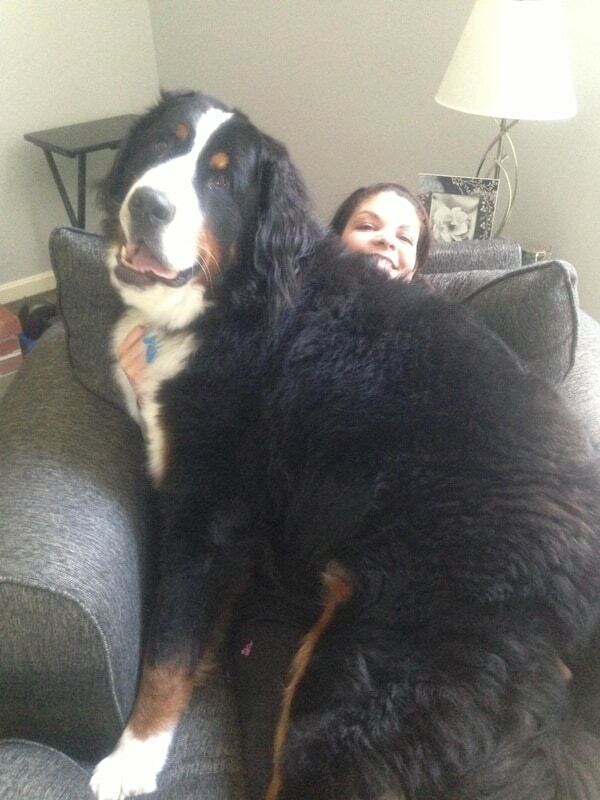 Can you ever imagine that a Bernese mountain dog can become so big? Yes it can be possible. 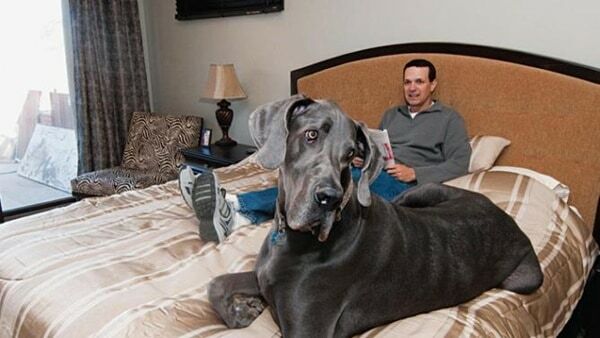 The average height of this male dog is 26 inches and the weight is about 100 pounds. 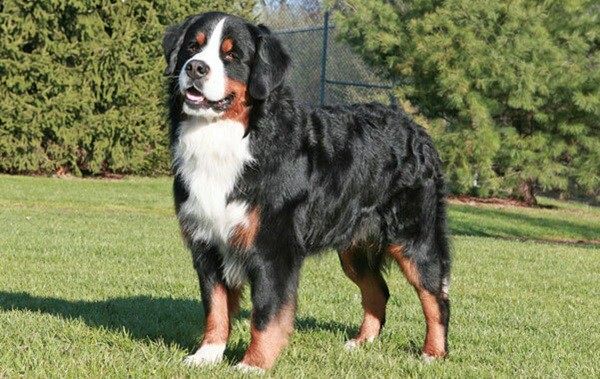 This dog breed, which one is given to understand is generally good natured and placid, is an outdoor dog at its core. While you will need to keep their activity level high and keep them well-exercised, you also have to factor in the fact that they do not have a high level of endurance. 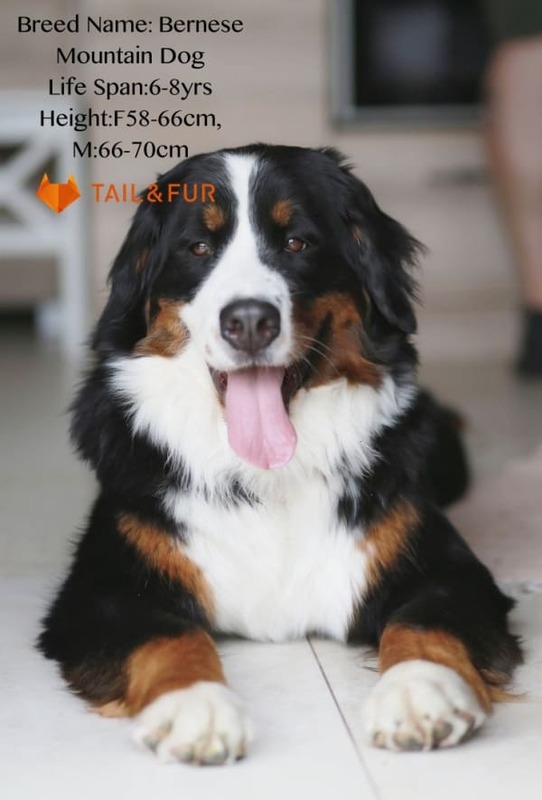 These affectionate dogs, which can be counted among the top 10 mountain breed dogs are pretty good with kids but you have to train them well so that they know how to behave. 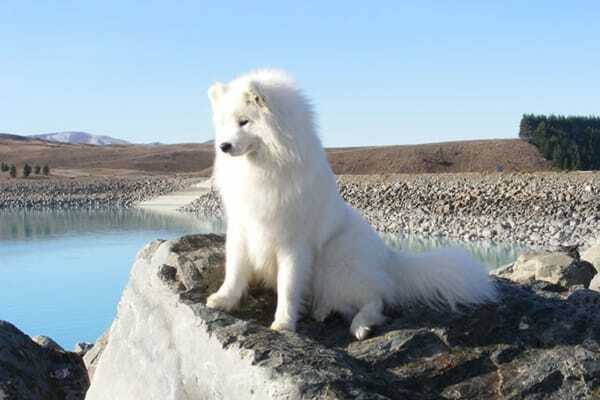 A beautiful Samoyed, which was first bred in Western Siberia. This dog breed is normally used for sledding. Yeah! 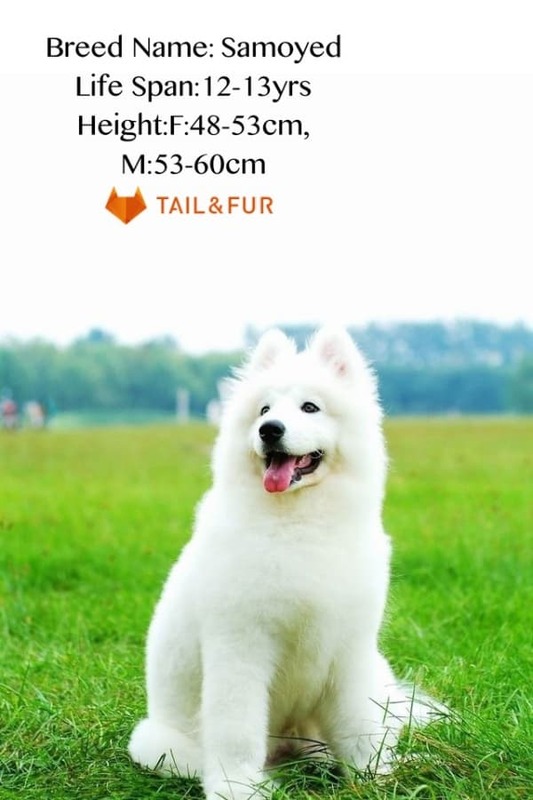 He is enough to make the full family warm.The Average height of this dog is 50-60cm with 25-25kg. You may have often wondered why do dogs have different ear shapes when you look at the wolf-like prick ears of the Samoyed. The answer to this is in the use for which the dog was bred, which in the case of the Samoyed is to hunt, pull sleds, and herd in reindeer. They help in tracking, warming their owners, and pack hiking. 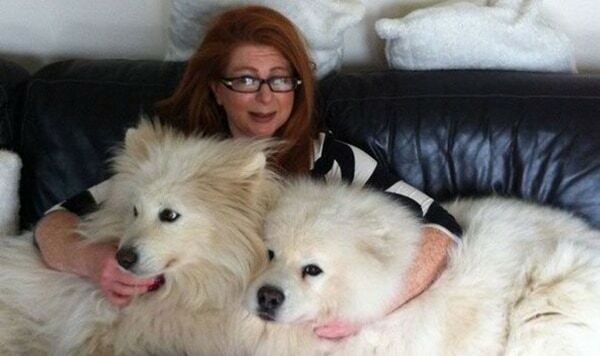 Though the Samoyed is supposed to bark a lot when on guard, their friendly disposition can work against them for such purposes. Their smiley expression also makes them so lovable and cute in spite of their size. 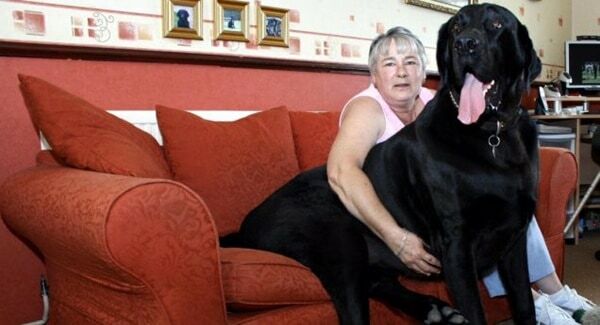 This is the tallest dog existing in this world. 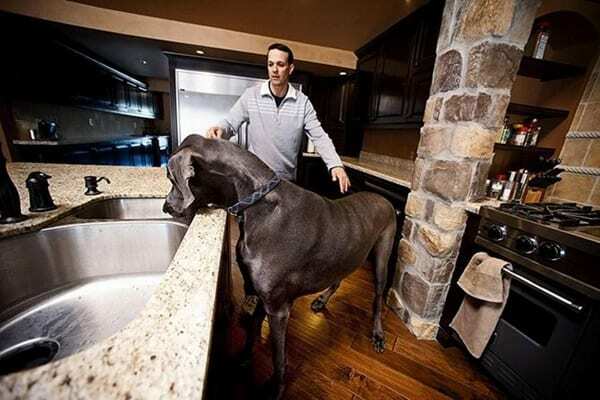 It’s a Great Dane with a size of 43 inches and holds two records. One is the tallest living dog in the earth and the tallest dog ever. Dogs that resemble the great Dane have been featured in many forms of art over the course of history. You can trace these dogs right from ancient Greece to Scandinavia. 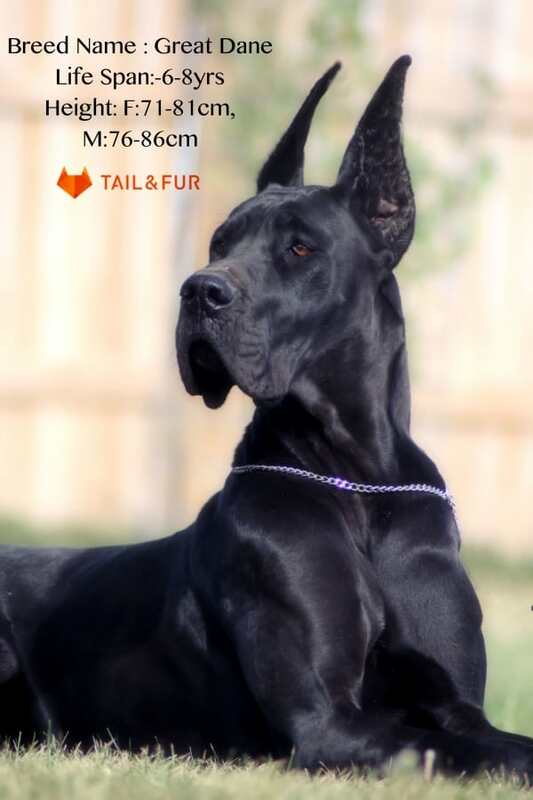 The great Dane shows a combination of strength, grace, dignity and has a very well-muscled body that used to come in handy when it was used for hunting purposes. Do not be deceived by its imposing look because it is a gentle animal underneath its seemingly ferocious look. However, ensure that you properly socialize your great Dane to ensure that it has the right disposition to be around your family environ. Thinking is it a lion or a dog? 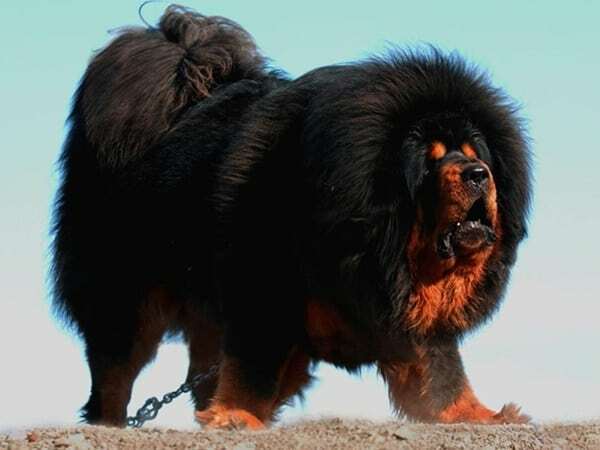 No, it’s obviously a Tibetan Mastiff Dog. 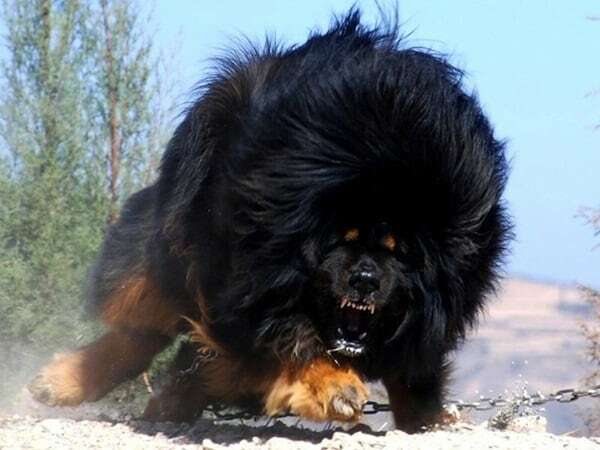 This dog is from China and has all the ability to confuse you with a lion and a dog. 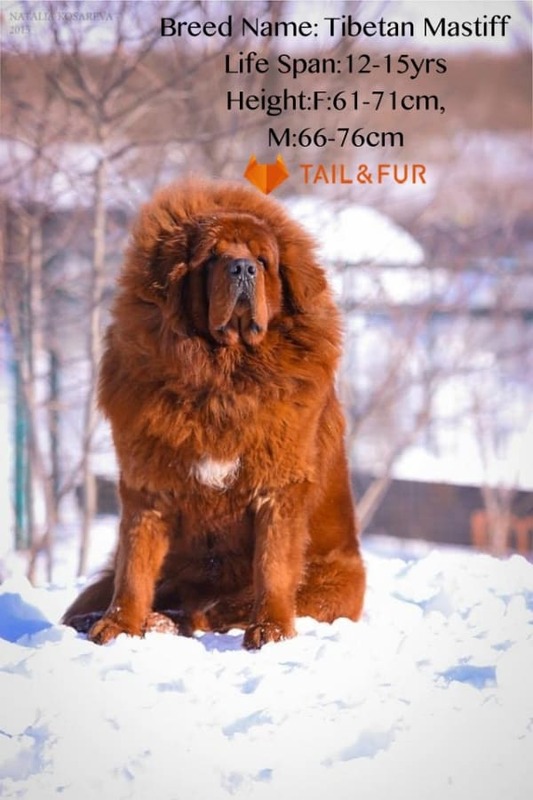 The average height of mastiff’s up to 65-75cm with 65-75kg weight. The primitiveness of this breed ensures that it has a hardy and robust nature. It rates among the 20 most expensive dog breeds in the world. 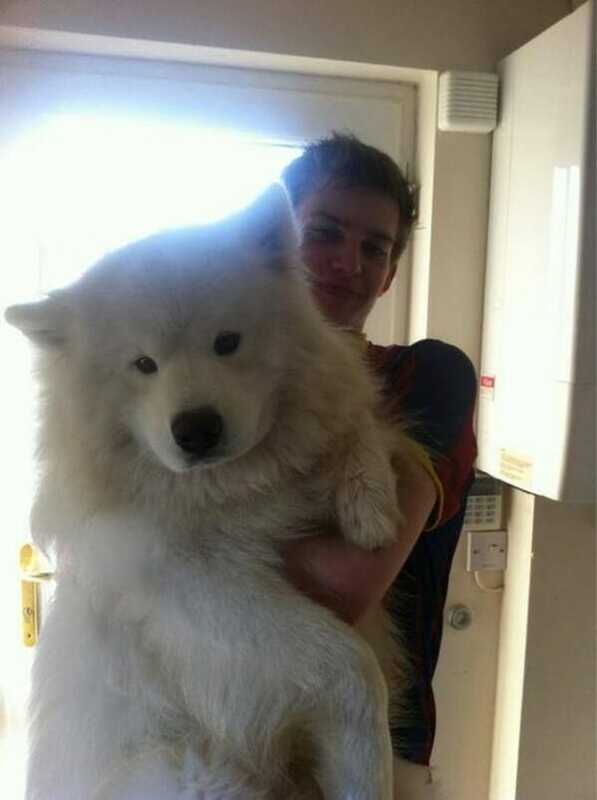 The size and the nature of this breed of dog mean that they may not be best-suited to keep in apartments. The breed is very suited for guarding, which means on the flip side it is quite stubborn too. You will need to take a consistent and disciplinary approach to the training of the dog to ensure that it acts according to your wishes.It is not a breed that is recommended to novice dog owners. 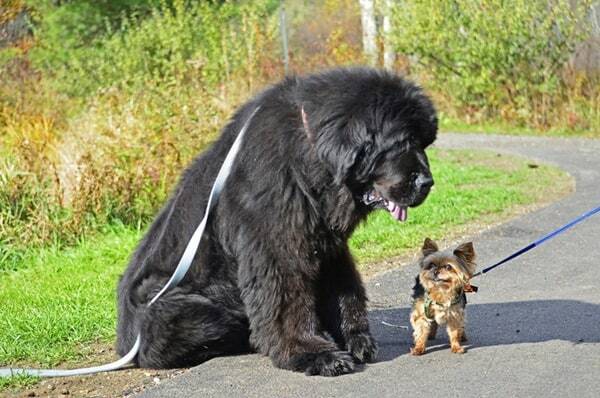 Newfoundland can be really big dogs and here the dog in the rear is a Newfoundland. They have double coats. 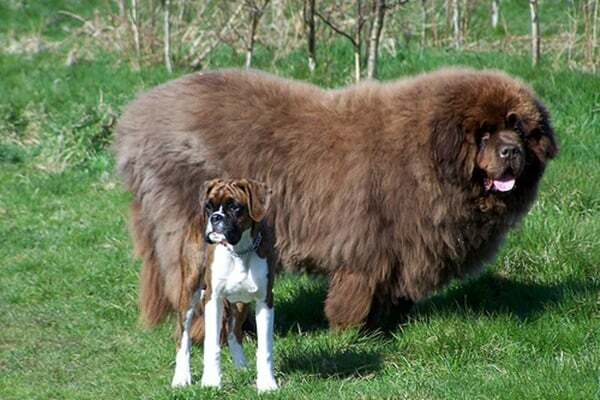 A soft inner coat and a long outer coat.Newfoundland Males dog normally weigh 65–80 kg and the largest on record weighed 120 kg. 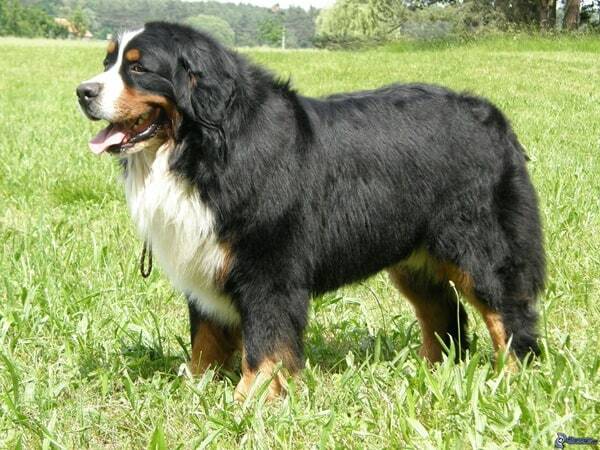 This lovely and large breed that is one of the popular dog breeds with large paws, is a strong, docile and calm breed. 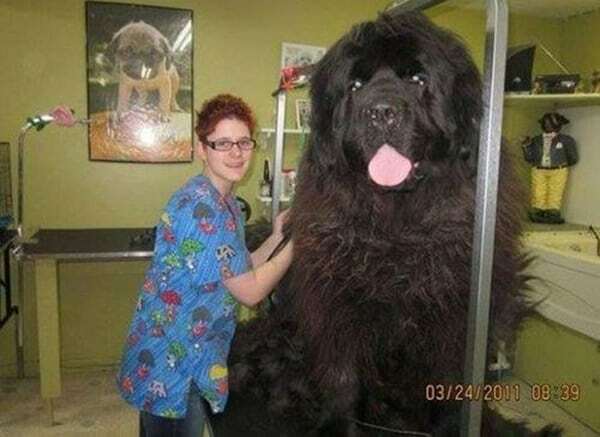 The big bones of the Newfoundland dog ensure that it has a rather large frame. It is a powerful breed that can hold its own in the ocean tides and waves. Their coat of hair and lung capacity allows them to swim aided by their webbed paws. This large breed of dog is very useful in rescues in the water. It should come as no surprise that there are many stories about the nobility and bravery of this large breed of dogs. Are you getting confused about this Dog? Yes it is a mixed breed known as Samson. It is a mix of Great Dane and Newfoundland. He weighs around 280 pounds. So just imagine how you will control it. 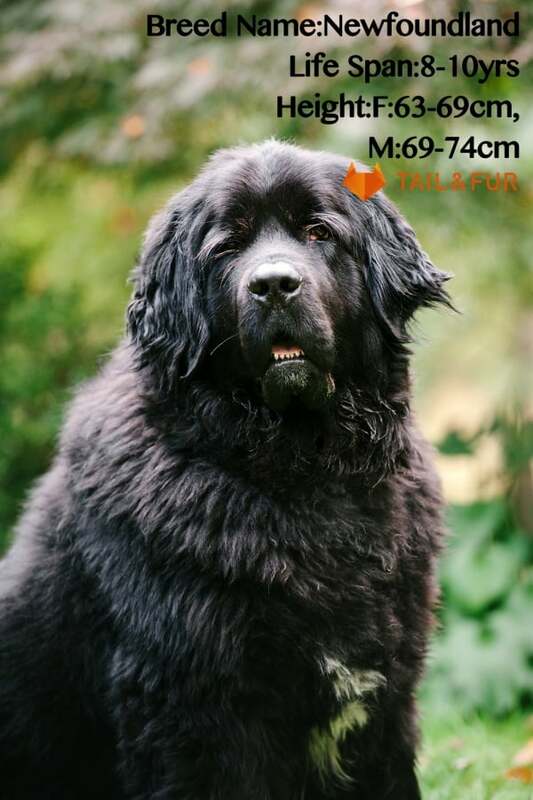 Okay, so you know what happens when you cross breed two large breeds of dogs Great Dane and Newfoundland. 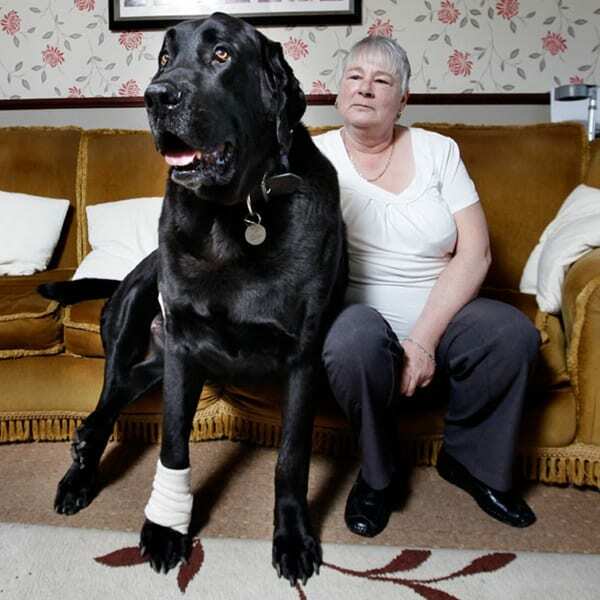 The height of this dog is massive and the way it growls can make the bravest hearts pause a bit. 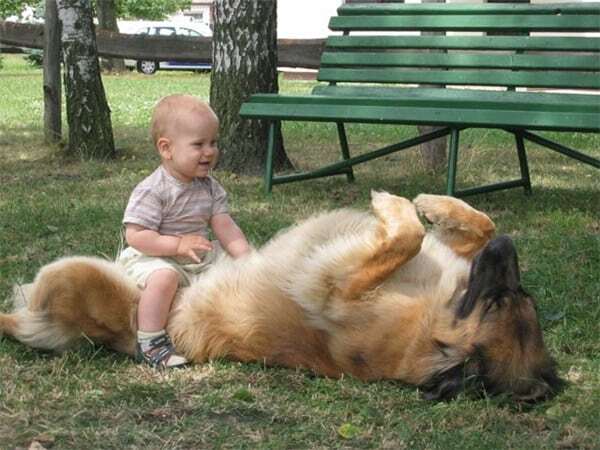 This dog can be a huge breed to feed and exercise.